Posted by Ada Wang on 11/24/2018 4:41:50 PM. This guide will teach you to convert EPUB to PDF easily in details -- from why we need to do this EPUB to PDF conversion to how you can reach this goal with different methods. You will find useful information that will help you convert EPUB to PDF successfully, including converting EPUB to PDF online, on Mac, on Linux, with freeware, etc. If you want to know the differences between ePub and PDF, and why we should convert ePub to PDF, read them below. Or, you can just skip to Convert EPUB to PDF directly. Both EPUB and PDF are of the most common eBook formats, and nearly all of the mainstream stores sell books in these 2 formats. But there are some differences between them, which make them unique. EPUB, Electronic Publication, is similar to a web page. It's reflowable and the text is resizable, which allows files to be read even in devices that with a small screen. The publishing industry has adapted it as a standard format for eBooks, so EPUB is compatible with most electronic reading devices. PDF, Portable Document Format, is an open standard format made by Adobe. But unlike EPUB, PDF files preserve the original layout of any documents, not allowed to edit or resize. We can even say that PDF is a default format for static documents. It can be shared easily and be printed in the original layout. PDF preserves original layout but EPUB doesn't. PDF files can be viewed on Kindle devices, but EPUB can't. PDF can be printed with a fixed layout, while EPUB allows text to be resizable. 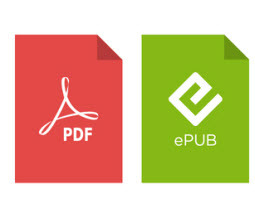 PDF is almost like a photocopy of the original content, while EPUB is almost like a webpage. PDF is widely used on those books that containing lots of images, charts, and also more often used for business and education. 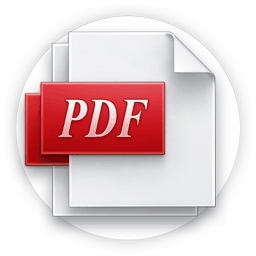 PDF is not only an open standard for eBooks, but also an old standard for sharing electronic documents. While EPUB is just the standard format of eBooks. Depending on the different points, the reasons why we should do this conversion have become easy to understand, yes? You should convert EPUB to PDF for a few reasons. First, if we want to read EPUB, we have to use a reading device, or install an EPUB reader. But for PDF files, we can even view them online with a browser like Chrome. So we can enjoy files with big-screen on our computer. Second, maybe there are some books that you want to share with your friends and preserve the original contents, not allowing to be modified. So converting them to PDF is a good resolution. Then, PDF files can be printed fast and effortlessly. It can be saved as other formats and conveyed to others by email. What's more, you can convert EPUB to PDF for Kindle! If you have gathered some EPUB books, and you want to read them on your Kindle, then there is no other ways unless you converting them to PDF. (PDF is supported on Kindle). Many e-book sellers sell books that will only work on their own devices and apps, including the EPUB format files. 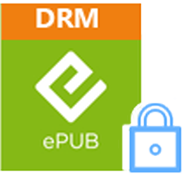 EPUB books we purchas from stores such as Google, B&N, Kobo, Sony, and so on, are usually with DRM. And just because of the DRM limitation, we can't convert them to other formats or open them with other readers or read them on non-supported devices. It means that if we gather a lot of EPUB books with DRM and we want to convert EPUB to PDF files, we should remove DRM firstly. Online converter; free software (calibre); converter tool shareware. Each method has its own features, pros and cons. 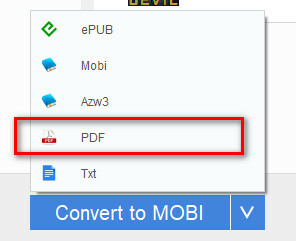 From this form you can clearly see that the best way to convert EPUB to PDF is using converter tool (software). There are still many choices, but I want to tell you that most of them are just EPUB to PDF converters, which only support DRM free EPUB to PDF conversion. They can't help us remove DRM from EPUB books, they can't convert DRM EPUB to PDF either. Fortunately I've found a good tool named Ultimate eBook Converter. It's irreplaceable because it is a all-in-one tool to remove DRM and convert ebook formats. High speed of batch conversion, supports both DRM and non-DRM, no content lost. Possible to edit and add ebook metadata, and easy to use. Get the free download please. Then how to convert EPUB to PDF easily. First you need to install ADE onto your computer. It can be downloaded for free. Then register it with Adobe ID. Please note that this step is very important to do, especially if your EPUB books are with DRM. Adobe ID is the key to remove DRM from EPUB if we intend to successfully convert them to PDF. Run this tool on pc or mac please. From the right side of this tool you will see an icon "ADE". Now that you have checked you can open your EPUB with ade at step 1, you will see all your added EPUB books once you click the “ADE” icon. Whether they have DRM or not, select and drag them to the left area please. The moment EPUB files have been added, the DRM removing job starts instantly. You will see "decrypted" as the images show if your EPUB has DRM. If non-DRM, you won't see this word. But both are supported to continue the next step. This soft helps us edit ebooks' metadata before converting to PDF format. 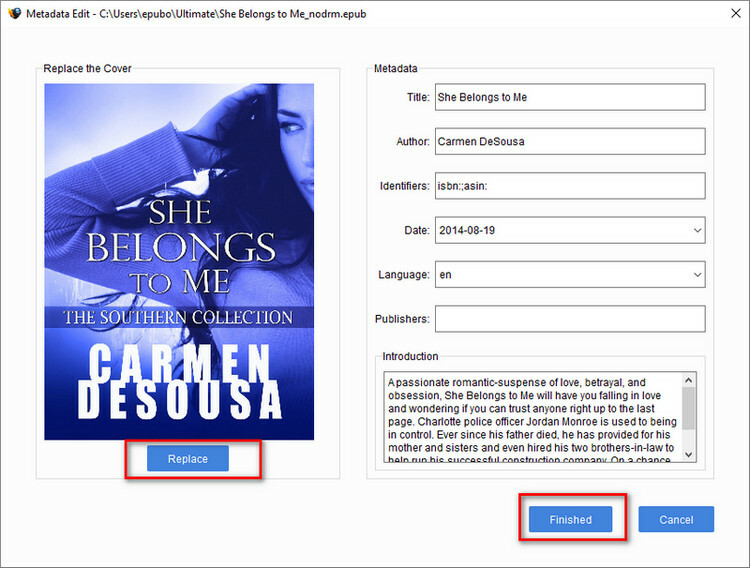 Such as, change ebook cover, rename the book, add author or date information, etc. Click "Edit" to begin please, then "Apply", and "Finish". From "Output Format", you can choose please choose PDF. This tool provides us 2 selections, common A4 font or default large font, either is OK.
After a few minutes, the conversion will be completed with the help of this software. From output folder, copy them to your portable devices, or open them with your PDF reader on pc. The converted PDF remains the same layout, no content missing. So easy to use, why not have a try now? Q: How to convert EPUB to PDF free? A: There are several solutions. This content has recommended freeware calibre to you, and also online converter tools. In fact there are other solutions. For more information read this article. Q: Could I convert EPUB to PDF mac? A: Freeware Calibre supports Mac environment, and the software tool I mentioned above also supports Mac version. 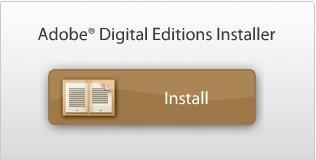 If you like you can go to convert EPUB to PDF on mac. Q: Books I purchased from kobo store are not .EPUB but with .acsm. What's this? A: ACSM files are those DRM protected kobo books. If you encounter this problem, please refer to this article convert acsm to PDF free. 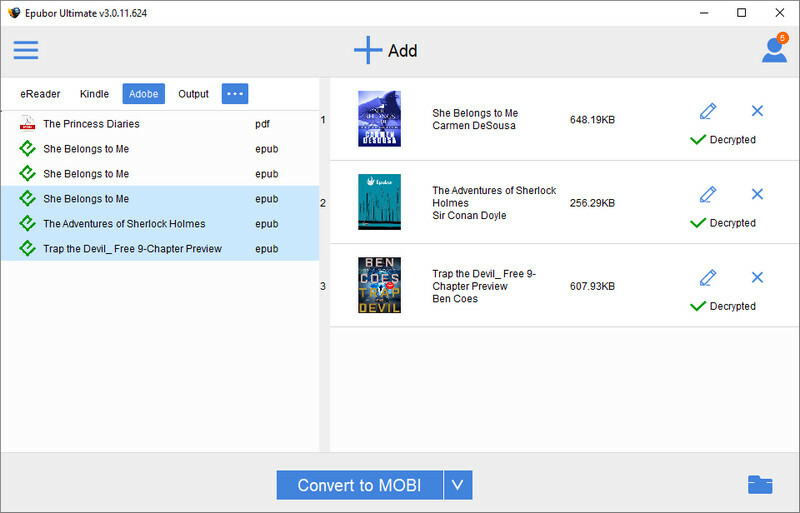 Q: Does this converter tool support converting iBooks EPUB to PDF? A: EPUB books purchased from iBookstore are with unique DRM, which couldn’t be handle by the above-mentioned tool. But we have found another good tool to help you remove it, and we have made a full explanation in the article convert DRM EPUB to PDF. Q: An EPUB with no DRM, purchased from kobo. After converting with calibre, the resulting PDF was just the book cover. How to resolve the problem? A: This book may have kobo's proprietary version if you purchased it from kobo site and synced it by kobo desktop. More details refer to convert Kobo Kepub to EPUB please. OK this content now comes to the end. It aims at telling you the easiest and best way to convert EPUB to PDF. Perhaps you are also eager to know other methods to convert EPUB to PDF, or some more information related to this topic. Don't worry I've finished the writing and gathered them together for you. Friendly tips: Is it possible to edit the converted PDF?